Choosing a gate for your property has just got easier with BK Timber! 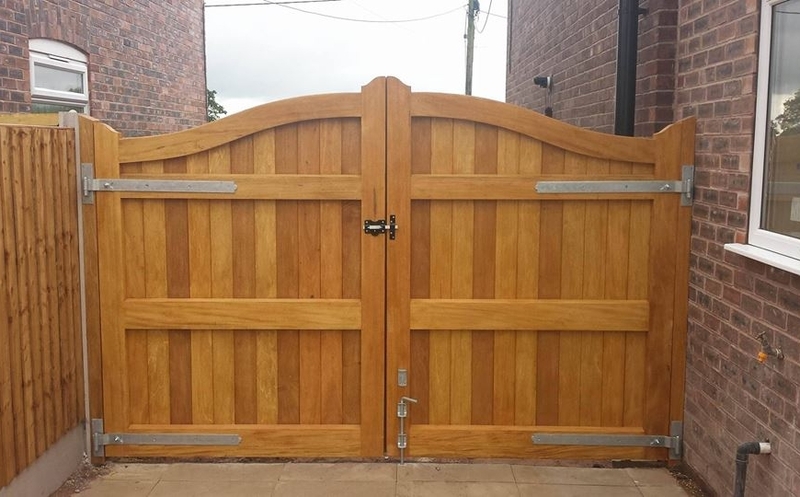 If you are looking for quality hardwood gates in Cheshire, we are the right place to go for excellent customer service, exceptional timber products, and unique designs that you simply won’t find anywhere else. With the help from us, we can give your garden or entrance a refreshing new addition that’ll completely transform your exterior – not to mention you’ll be able to get it before summer! 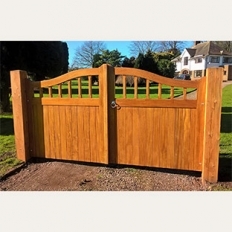 Whether you are looking to add some security or maintain your property with well-structured hardwood gates in Cheshire, our gates are suitable for all purposes. The sheer beauty of the hardwood creates a sense of supremacy and authority and will give you peace of mind knowing your entrance is secured. To make our gates the best on the market, our team of joiners use premium timber wood to create the most intricate designs accompanied with wood treated properties. This therefore means our hardwood gates in Cheshire will look great all year round will little to no maintenance! Having a new gate is more than just providing security - it needs to fit in with your preferred taste so you’re truly happy with your service... If you are looking to create wow factor, we highly recommend our Brereton driveway and garden gate as these are beautifully detailed with swan neck sweeps to give your property a sophisticated and elegant look. We have a unique online gate builder and measuring guide so that you can add your own personal touches and be in total control of the process. This unique feature has proved to be effective for all hardwood gates in Cheshire and of course, we are here to help you if needed! To speak to a member of our team for any enquires about gates or other services we can do, simple contact us and we will be happy to help you achieve your dream gate.